UConn Health is centrally located in the Connecticut town of Farmington and is part of the Greater Hartford area, whose richly diverse community is home to nearly 200 cultural, arts and heritage organizations, including art and historic museums, theatre, dance, opera, and concert venues, and dining options from the Caribbean, South America, Europe, the Middle East and Asia. Major area festivals are celebrated year round, such as the Greater Hartford Jazz Festival, the Amistad Foundation’s Juneteenth Celebration, Riverfront Recapture events, and the Sunken Garden Poetry Festival, as well as annual events including celebrations of our African American, Puerto Rican, West Indian, and Native American communities. 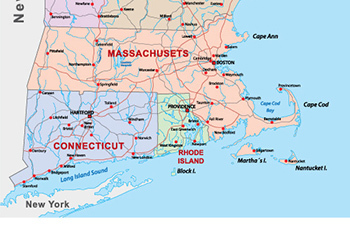 UConn Health is also conveniently located about two hours by car from both Boston and New York City. In addition, outstanding local recreation areas offer camping, hiking, horseback riding canoeing/tubing, skiing, golfing, and fresh and salt water beaches. Professional sporting teams in the area include the Atlantic League (ALPB) New Britain Bees and Double-A Hartford Yard Goats baseball teams, AHL Hartford Wolf Pack hockey, and WNBA Connecticut Sun. The area is also home to the nationally ranked University of Connecticut basketball, football and soccer teams. For more information on the area, visit www.farmingtonvalleyvisit.com and http://www.ctvisit.com/hartford.